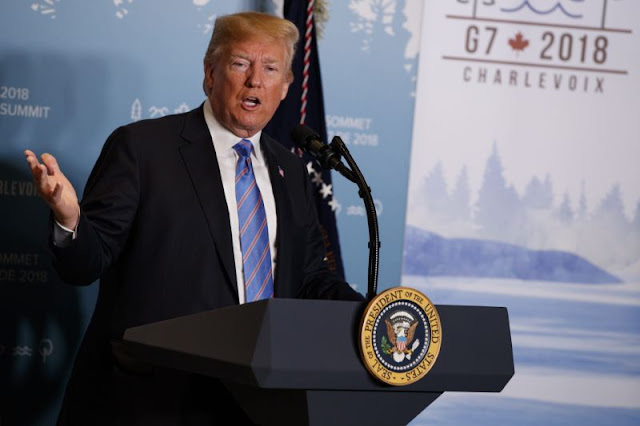 Trump throws G-7 Summit in Canada into disarray and calls Canadian Prime Minister Justin Trudeau as "dishonest & weak"
VietPress USA (June 9, 2018): Trump left the G-7 Summit in Canada with shower of tweets. 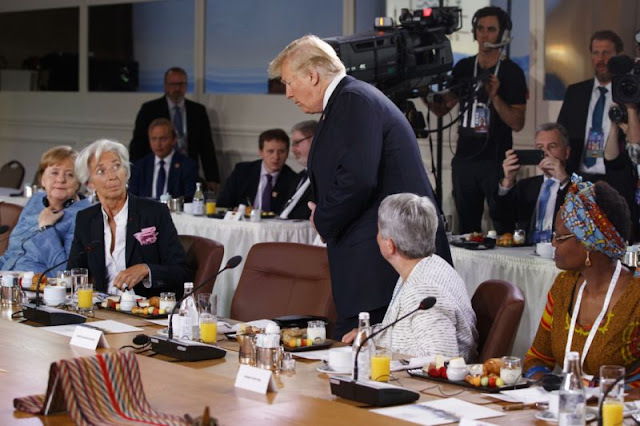 Trump throws G-7 into disarray when he calls Canadian Prime Minister Justin Trudeau as "dishonest & weak" and threatens that the U.S. was pulling back its endorsement of the G-7 summit's communique in part because of what he called Trudeau's "false statements" at a news conference. 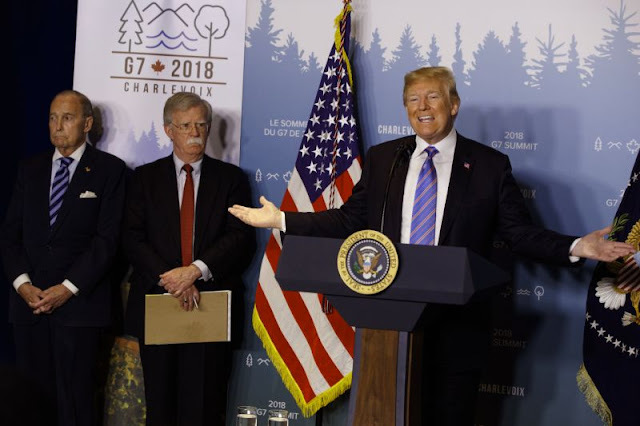 LA MALBAIE, Quebec (AP) -- Lashing out at the longtime U.S. ally and northern neighbor, President Donald Trump tweeted that Canadian Prime Minister Justin Trudeau is "dishonest & weak" and that the U.S. was pulling back its endorsement of the G-7 summit's communique in part because of what he called Trudeau's "false statements" at a news conference. 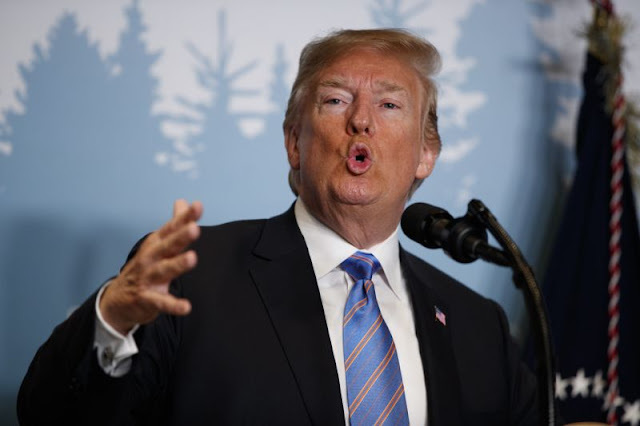 In an extraordinary set of tweets aboard Air Force One, on its way to Singapore for Tuesday's summit with North Korea's Kim Jong Un, Trump threw the G-7 summit into disarray Saturday and threatened to escalate his trade war just as Canada released the G-7's official communique. Its statement took a generally positive view of the leaders' positions on trade matters while acknowledging tensions with the U.S.
Trump tweeted: "Based on Justin's false statements at his news conference, and the fact that Canada is charging massive Tariffs to our U.S. farmers, workers and companies, I have instructed our U.S. Reps not to endorse the Communique as we look at Tariffs on automobiles flooding the U.S. Market!" He followed up by tweeting: "PM Justin Trudeau of Canada acted so meek and mild during our @G7 meetings only to give a news conference after I left saying that, "US Tariffs were kind of insulting" and he "will not be pushed around." Very dishonest & weak. Our Tariffs are in response to his of 270% on dairy!" In a statement, a spokesman for Trudeau did not address Trump's insults. "We are focused on everything we accomplished here at the #G7 summit," spokesman Cameron Ahmad said. "The Prime Minister said nothing he hasn't said before — both in public, and in private conversations with the President." During an evening stroll with his wife and another couple, Trudeau was asked a couple of times by a reporter for his reaction to Trump's tweets. And he was also asked for his thoughts on what Trump's move could mean for the future of the G7 . Trudeau didn't answer the questions, responding to journalists at the photo op: "Good to see you guys ... It's a beautiful evening, a great weekend." Trump's personal attack on Trudeau is unprecedented in the countries' longstanding relationship. "As Canadians, we are polite, we're reasonable, but also we will not be pushed around," Trudeau said. Trump himself insisted relationships with allies were a "ten" just before he left the summit. But Trump's abbreviated stay at this Quebec resort saw him continuing the same type of tough talk on trade as when he departed the White House, when he accused Trudeau of being "indignant." "His message from Quebec to Singapore is that he is going to meld the industrial democracies to his will — and bring back Russia," said Steve Bannon, Trump's former campaign and White House adviser. Bannon said China is "now on notice that Trump will not back down from even allies' complaints in his goal of 'America First.'" Speaking on Saturday during a rare solo news conference, Trump said he pressed for the G-7 countries to eliminate all tariffs, trade barriers and subsidies in their trading practices. He reiterated his longstanding view that the U.S. has been taken advantage of in global trade, adding, "We're like the piggy bank that everybody's robbing, and that ends." Trump placed the blame on his predecessor, President Barack Obama. "He was the one who let Crimea get away — that was during his administration," he said, adding: "Obama can say all he wants, but he allowed Russia to take Crimea. I may have had a much different attitude." French President Emmanuel Macron said he and Trump had "open and direct" discussions, adding that he thought there was a way to get a "win-win" outcome on trade. Details remained unclear. Thomas reported from Washington. Associated Press writers Jill Colvin and Darlene Superville in Washington, and Sylvie Corbet in Paris contributed to this report.